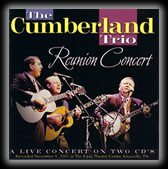 ← The Story of The Cumberland Trio- 50 Years Of Great Music! 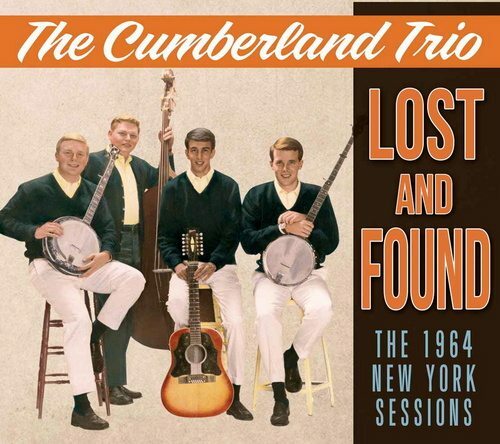 The task of taking these studio recordings from the early 1960’s after they had been copied to an acetate studio demo record, played for years, copied to 2 track home tape recorder and then trying to restore it to today’s quality was the most challenging project I have ever encountered. Although signal to noise ratios in that time period were the best possible, today’s standards have far surpassed that era. No one will ever know what happened to the original master recordings but fortunately the acetate sampler copy was kept. It had scratches and wear from years of being played, probably on different phonograph players that may not even have had stereo needles or the correct tone arm pressure. When it was copied to a tape recorder, the volume levels were low and the impedance mismatched, which changed the fidelity. The tape was then copied to a CD with which I began the task of restoration. The sound levels were down -12db or more which made the scratches, noise and wows more than 4 times louder when raising the volume to normal listening levels. Using state of the art noise reduction and special filters that incorporate phase cancellation, I was able to clean up the noise floor and drop it back down without sacrificing the wanted signals. I addressed thousands of clicks and pops with special spectral analysis scrubbing filters that allow the preceding signal to pass through but eliminate the unnatural signal. This takes countless time going through each millisecond of a song for each track. Many spots had drop outs, wow and flutter and the overall speed was off from that of the original recording. All these problems were able to be solved with the wonderful world of digital processing. Several of the songs had clipping and distortion. Those areas were touched up bit by bit to round off the clipped portion and drop the harsh sound of distortion. Each second of recorded music has 44,100 bits, so one can quickly understand how many bits were involved. The final touch of using random phasing on one track to create the stereo effect was rewarding. The EQ filters, parametric filters, hard limiting, multiband compression and my musician’s ear completed the task. 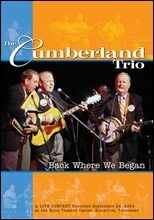 I am honored to be a small part of bringing this great music back to life and securing its place in folk music history.